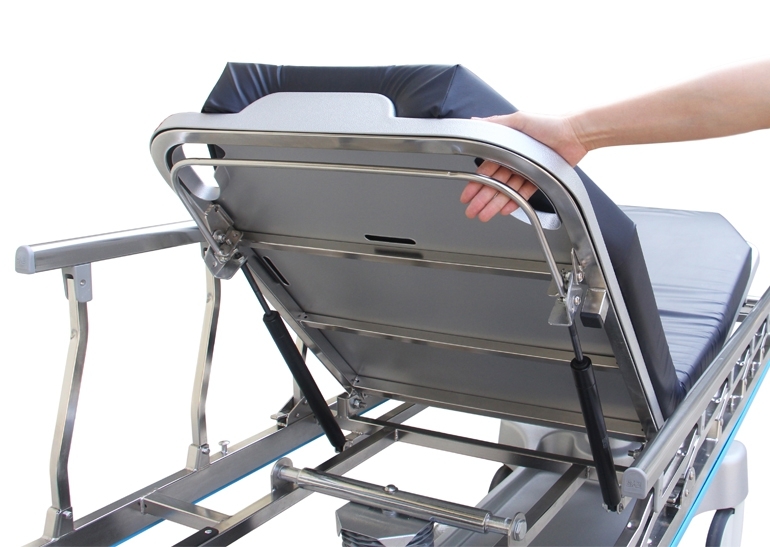 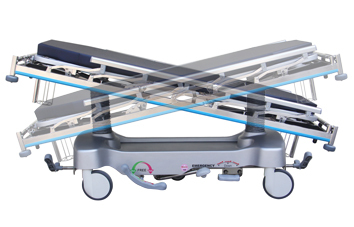 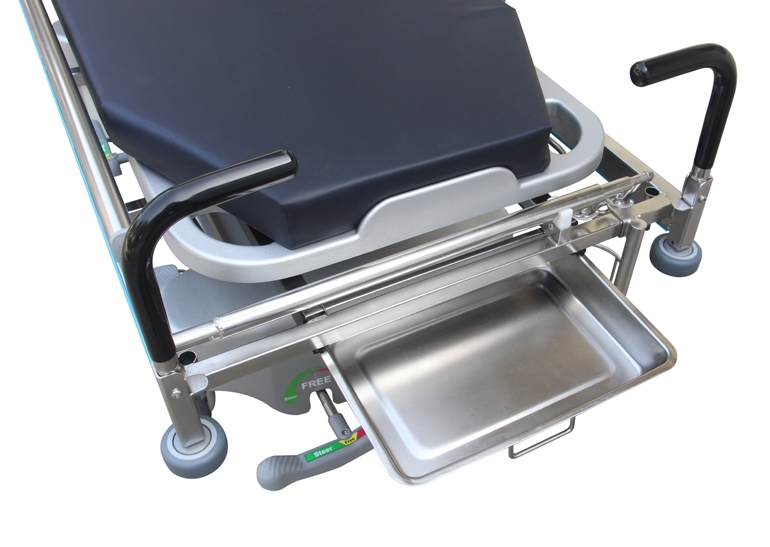 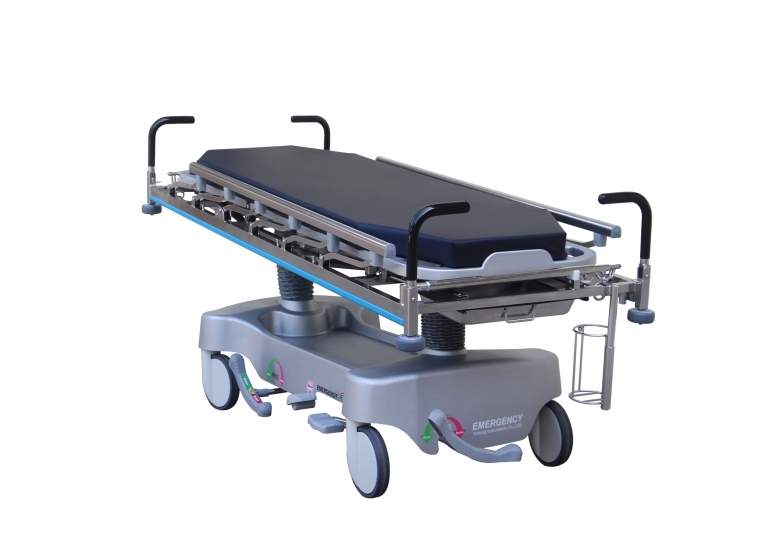 Stainless Steel Emergency Stretcher for Hospital_Emergency Stretcher_Products | Taitung Instruments Co. Ltd. 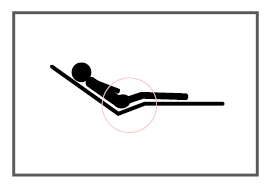 Patient can lie down in each direction. 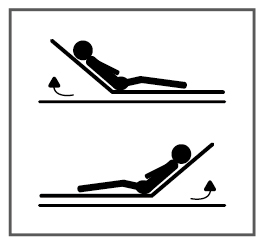 Both ends can be raised as the head part. 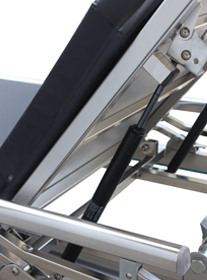 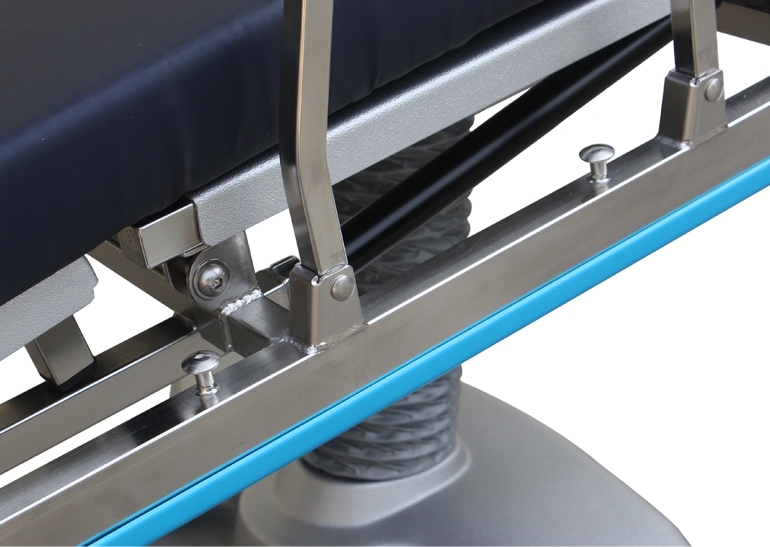 Dual hydraulic pedestal regulating the elevation and lean easily controlled by foot pedal attached on both sides.